ROSEMONT, Ill. — Most superheros put on their mask when it’s time to save the day. Billy Garrett Jr. had to take his off to be the hero for DePaul on Wednesday. 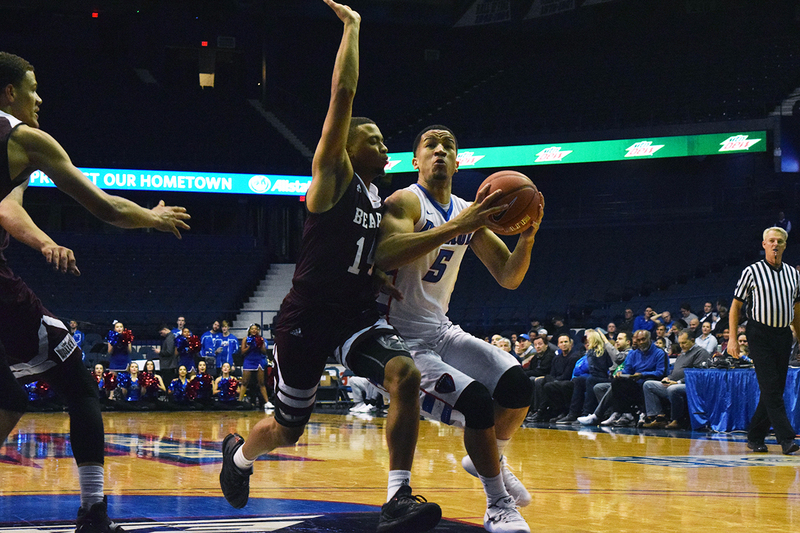 Garrett, DePaul’s senior point guard, scored 19 points in the final 12 minutes including a game-winning buzzer-beater as the Blue Demons (3-1) erased a 13-point deficit to defeat Missouri State, 68-66. Before the game, Garrett took a shot to the face during the team’s shootaround. With tip-off nearing, the training staff rummaged up a bulky, protective mask for him to wear. If that does not sound like comfortable gear to wear let alone while playing a sport, that’s because it isn’t. Garrett produced twice as many turnovers as points in the opening stanza. He coughed the ball up four times and scored his only bucket on a layup with 3:50 left in the half. He played only 11 minutes due to foul trouble, getting his second whistle just more than five minutes into the game. Even with a free face, Garrett struggled to start the second half, which he acknowledged. He missed a pair of layups to start the period and still had not found a groove eight minutes in. With 11:40 remaining, Garrett started chipping away at his ice-cold evening by sinking a layup. Four minutes later, he drained an open 3-pointer right in front of the DePaul bench, and the floodgates opened. He got fouled and made two free throws on the next possession. Soon after, he rebounded his own miss and drew contact while making the putback. He completed the three-point play to bring DePaul within 60-55. 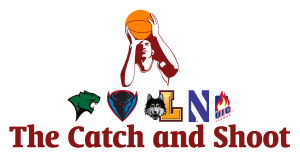 Garrett was exceptional in crunch time, giving DePaul the lead three separate times in the closing seconds: two free throws with 1:20 left, another three-point play with 47 seconds to go, and finally his buzzer-beater that caught nylon just as time expired. Coming out of a timeout with 13 seconds remaining, DePaul expected Missouri State to play man-to-man defense, as the Bears had done most of the night. The plan was to create an opportunity for Garrett to drive toward the rim. Missouri State (3-1) surprised DePaul by coming out in a zone, but Garrett did not panic with the Blue Demons out of timeouts. He took the screen, drove to just in front of the foul line and rose up over 5-foot-10 Dequon Miller, who was giving up eight inches to 6-foot-6 Garrett. Of course, any superhero needs a sidekick. In Garret’s case, he had two: sophomore guard Eli Cain and junior forward Tre’Darius McCallum. 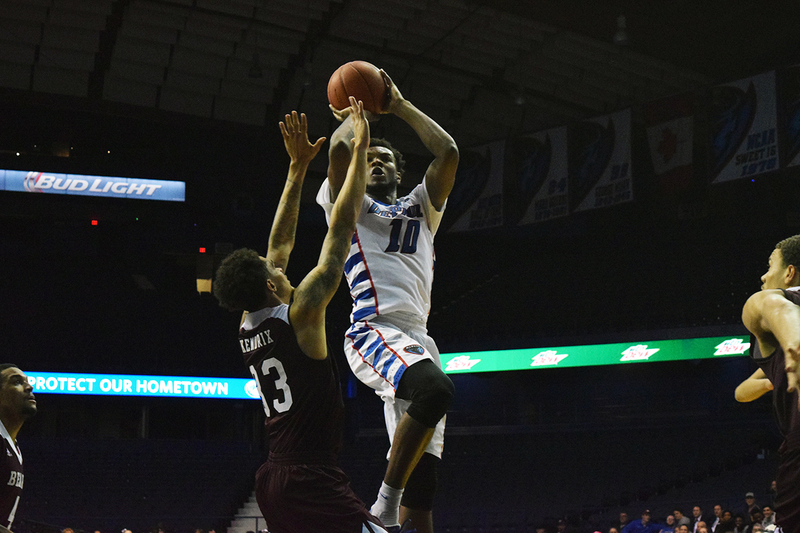 Cain did not find the scoring column in the game’s final eight minutes, but his 22 points in the first 32 minutes are what put DePaul in a position to come back. While Garrett has had an inconsistent start to the season, Cain has been the steadying force despite being two years younger, averaging 21.8 points to rank second in the Big East. Wednesday’s game took a turn when DePaul started pressing with six minutes remaining, and one huge reason the defense was so effective was McCallum’s active hands. The junior college transfer forced a pair of turnovers and also recorded six points, two rebounds and one assist in the final six minutes. He finished with 10 points, 12 boards and four steals, completing the first double-double of his Division I career. “Without his defense we wouldn’t have won the game,” Garrett said. In the end, with the city in danger and the time bomb ticking away, the sidekicks stepped aside and let their unmasked superhero save the day. Garrett followed the path of Superman rather than The Human Torch and played down his heroics.